The community stepped up and MORE than doubled our matching grant challenge) of $1500. What a great way to start the NEW YEAR of fundraising to stand firm against Dutra polluting Petaluma. 2012 will be a year of consciousness raising and fundraising. WE CAN DO IT! 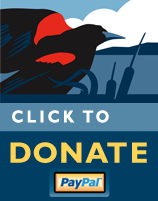 THANK YOU to all of you who sent in end-of-the-year donations – your money was doubled with the power to fight DUTRA , due to a generous anonymous donor. Lagunitas Beer Sanctuary 5:30- 9 P.M. BIGGER and (is it possible ?) even better than last year’s SOLD OUT event. Lagunitas Beer Sanctuary has expanded their amphitheater and so more of you can attend! #3 ECONSCIOUS GIVES TO SAVE THE PARK! has designated O.W.L. Foundation (Friends of Shollenberger is a special project) as a recipient for their 2011 contribution to the planet. THANK YOU ECONSCIOUS for helping preserve and protect Shollenberger Park! If you have links to companies who also participate in 1% for The Planet, please refer them to our cause. 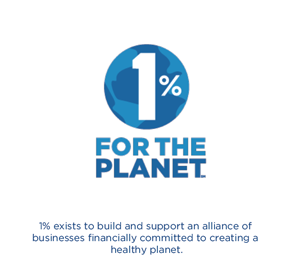 Companies pledge to donate 1% of GROSS SALES to non-profits working to preserve the planet. What a great idea!